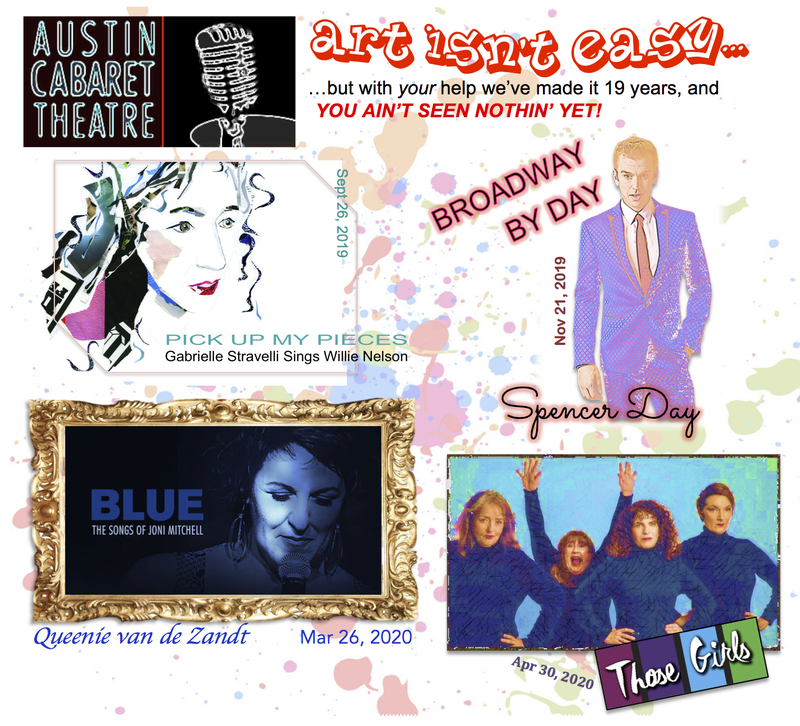 Call Stuart to order at 512-289-2287...ALL FOUR SPECTACULAR SHOWS ONLY $125! Call or email Stuart (512-289-2287, stuart@stuartmoulton.com) for info! Copyright 2012 Austin Cabaret Theatre . All rights reserved.